If you've been charged with a federal crime, choosing the right attorney could be the most important decision you ever make. 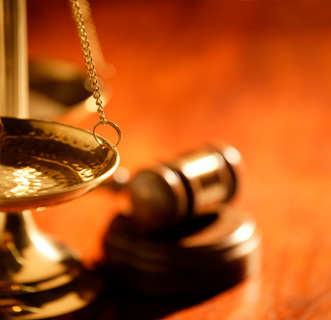 Want the strongest defense for your criminal case? Get the lawyer who has years of experience on both sides. With years of experience in crafting expert legal defenses, attorney Dominic Mango is dedicated and focused on defending your rights. Get in the best situation possible with an aggressive defense attorney. Dominic Mango has a unique perspective from his time as a prosecutor. He understands the ins and outs of drug charges and can help you achieve the best results. With Mango Law, you'll get a complete analysis of all the aspects of your case right when we start. Dominic will fight for your rights and liberties. Dominic Mango knows how to protect your liberty, license, freedom and record. Drunk or impaired driving has many names, and a conviction impacts not only your driver’s license, but it can affect the cost of your insurance and your future. Experience means lesser sentences. If your license is suspended, Mango Law can help you get it back faster. Protect your record and your reputation with Mango Law. You can rely on Dominic Mango for a strong defense and meticulous preparation. His unique perspective as a former prosecutor makes him the expert your case needs. If you're charged with domestic violence, felonious or simple assault, menacing (threats), or another related offense call Dominic Mango. I will fight to protect your rights and your reputation. In these extremely sensitive cases, the impact often reaches far beyond the Courtroom. It's important to find a lawyer who understands the techniques that law enforcement uses in prosecuting these cases. My extensive knowledge of these state agencies and their procedures help me to build a strong defense.